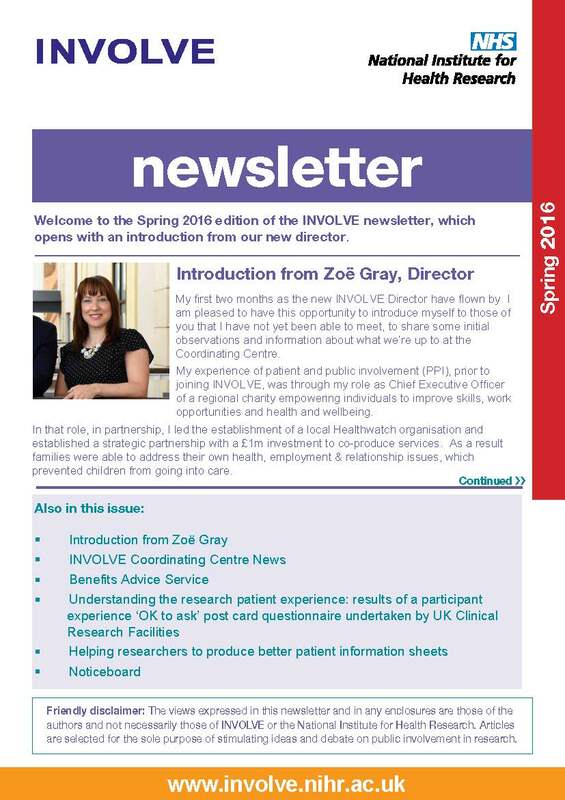 Until February 2017 INVOLVE published a newsletter four times a year. 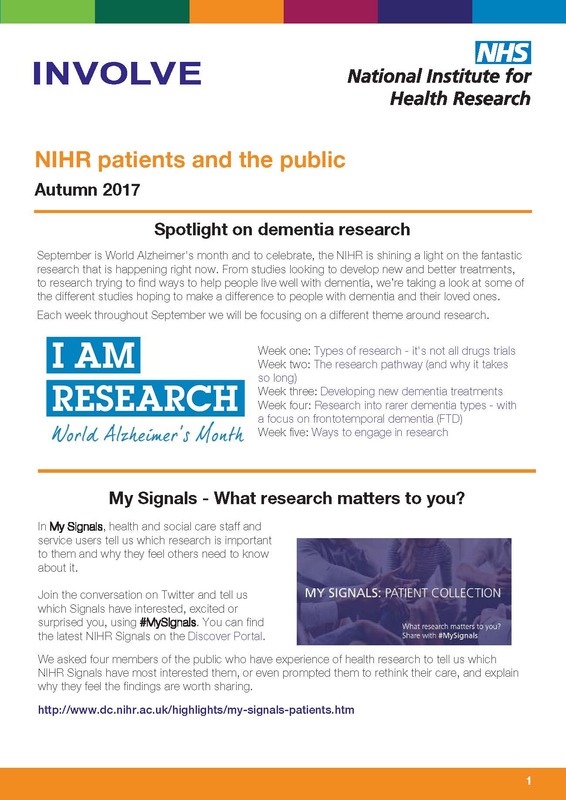 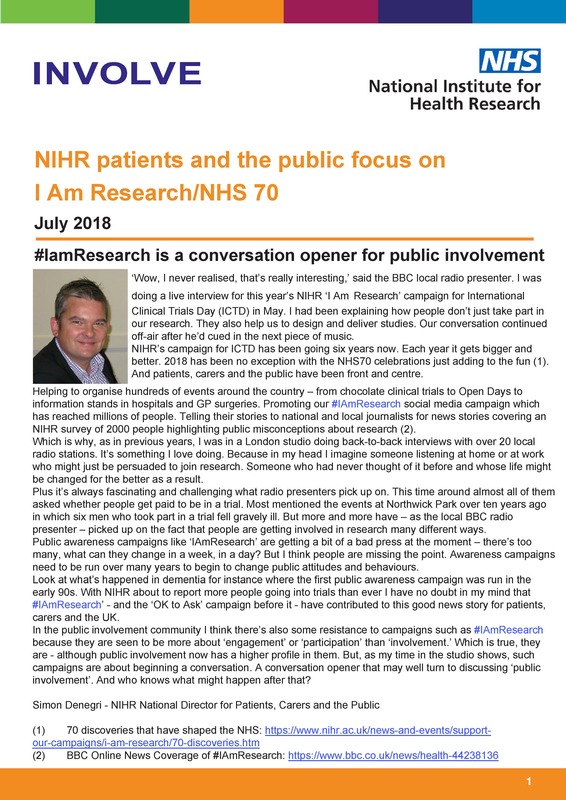 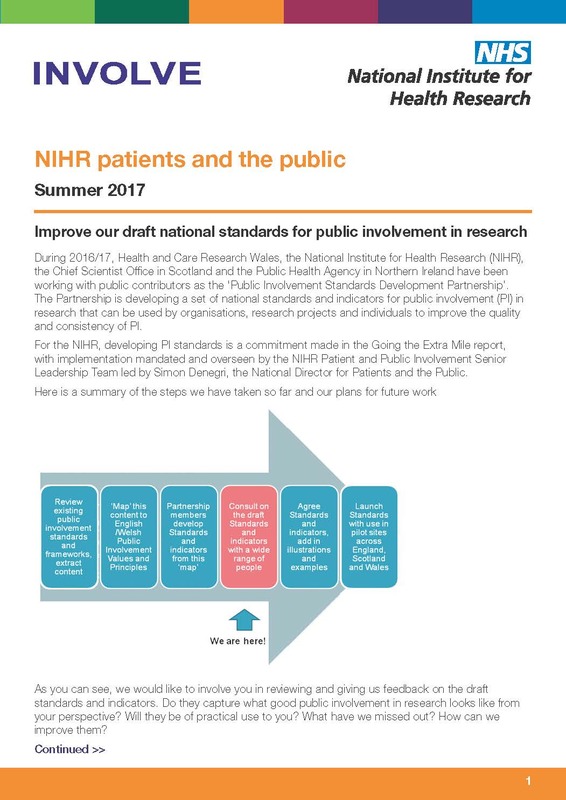 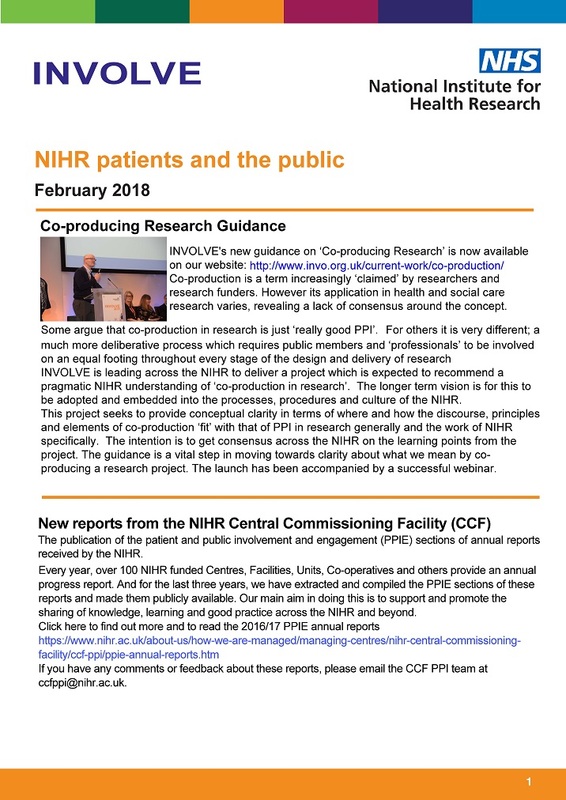 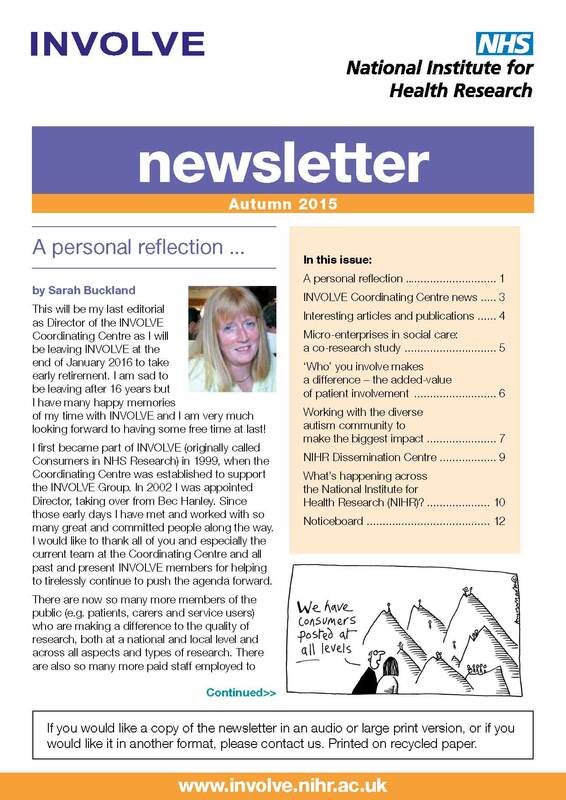 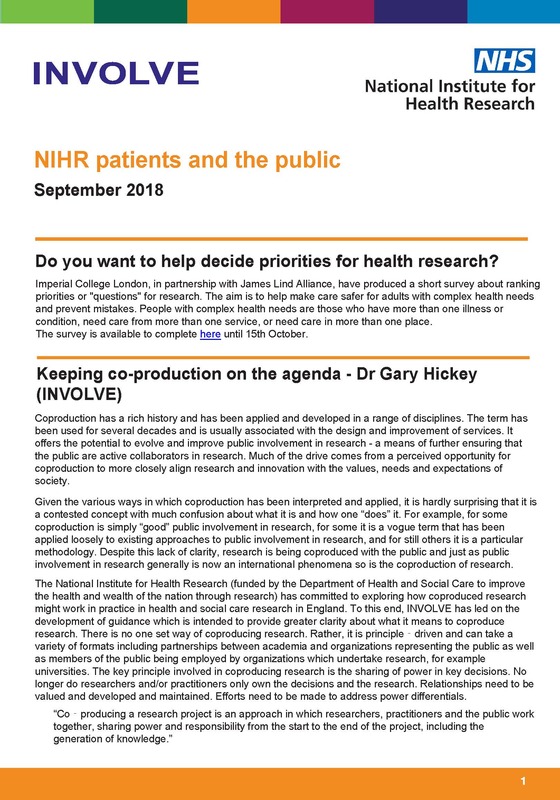 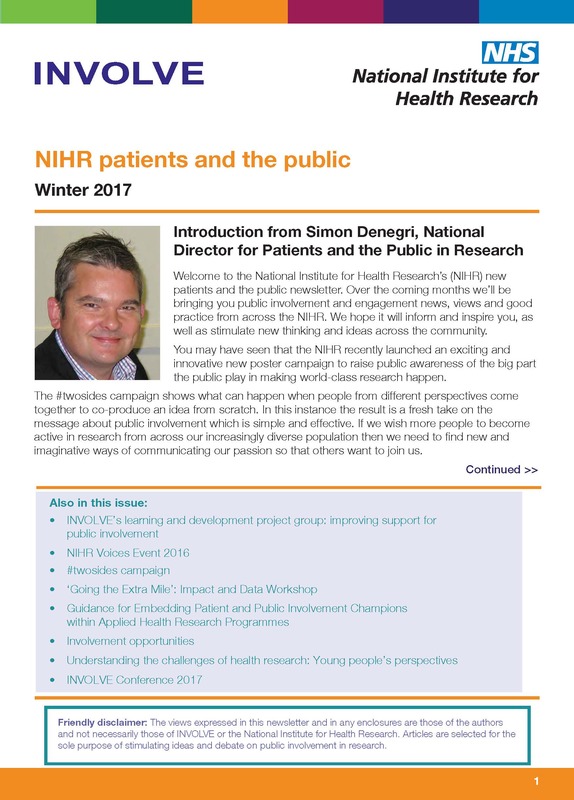 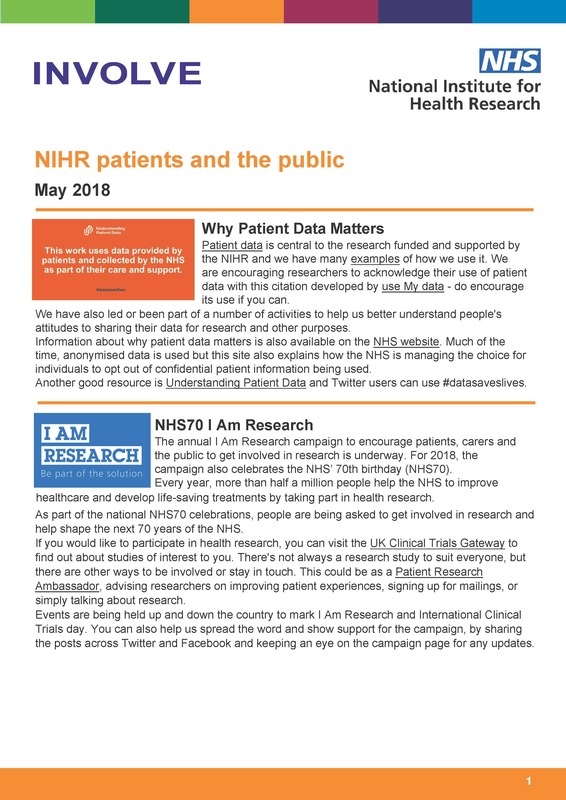 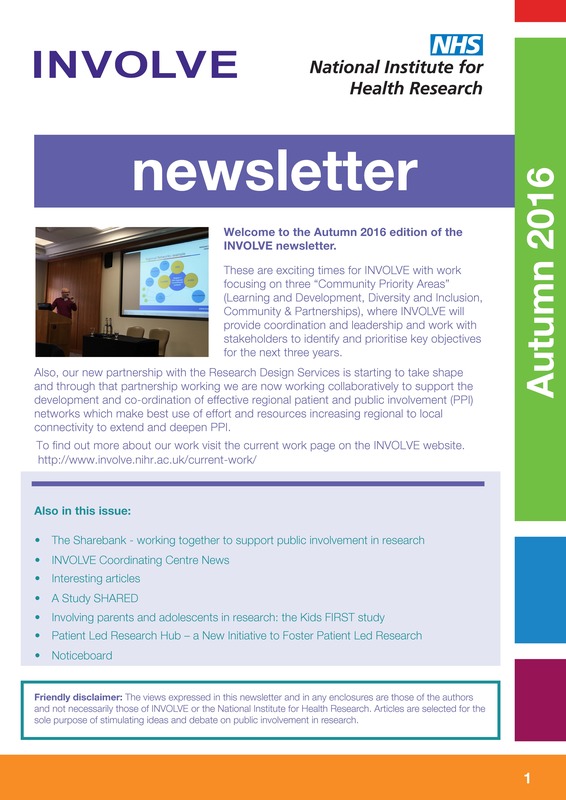 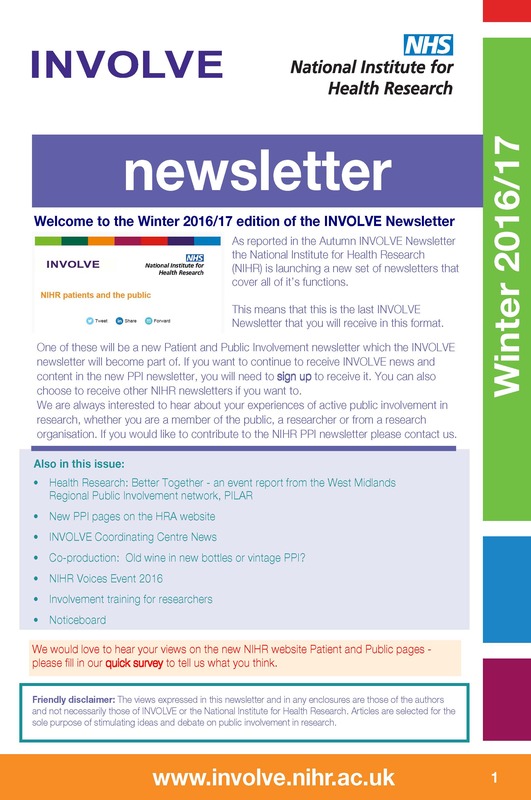 Moving forward we are integrating our content into the NIHR PPI newsletter. 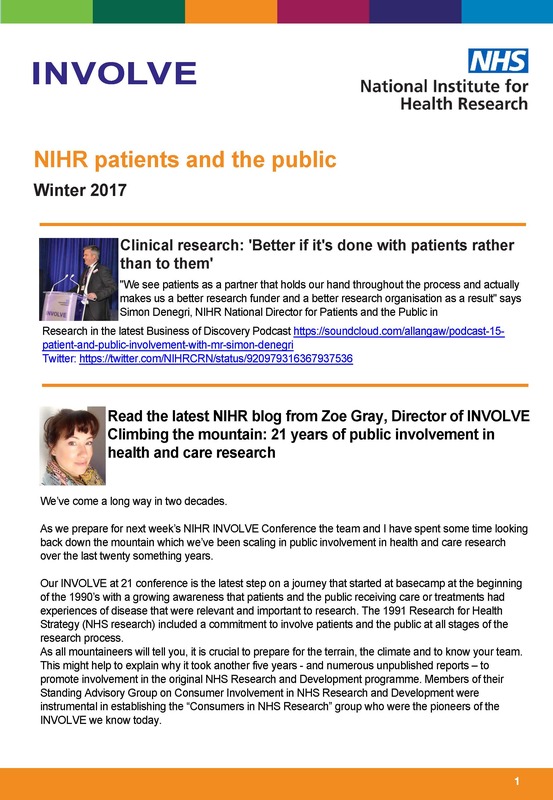 If you would like to receive a copy of any of the NIHR newsletters please sign up here.